Contrary to popular media sentiment, BOTH sexes can use plastic googly eyes to accentuate their genitalia. 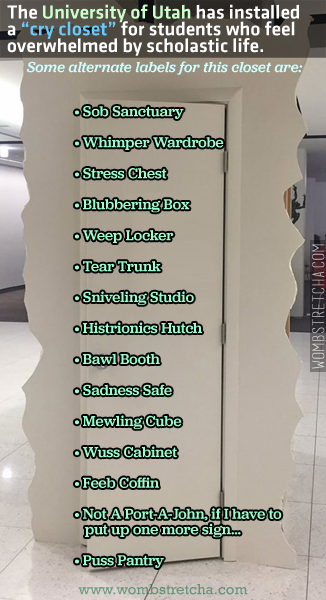 So, the University of Utah went and installed a box for students to weep in. I think this is ridiculous. Real life doesn't have such accommodations. You're just gonna have to cry in the break room like Cheryl does.